The total tuition fee for the master program is 18,000 EUR which includes the regular TU semester fees. This covers all courses and materials plus public transportation service in the city of Berlin. Although TU Berlin does not itself provide student accommodation, the "Studentenwerk Berlin" (a local non-profit agency for student affairs) offers a number of accommodation options for students enrolled at educational institutions in Berlin. In general, program participants have found affordable accommodation in Berlin without major difficulty. Proof of English fluency ('TOEFL iBT' minimum of 80 or level B2 of the 'Common European Framework of Reference for Languages' (CEFR) � not required for high school graduation with English language or documented English language proficiency through previous university studies in English. The energy market is one of today�s most fast paced, decisive and profitable industries and crucial to both the global economy, the environment and our future society as a whole. Climate and economic changes, public opinion, technological progress and regulation shape unforeseen challenges and opportunities. This situation calls for new solutions to be delivered by highly skilled and appropriately trained experts with an all-embracing overview, an international outlook and the will to create a true impact. Due to its economic, entrepreneurial and industrial strength as well as its successful and progressive energy policies, the �Energiewende�, Germany stands out as a front runner in the global energy transition. In order to promote the dissemination of knowledge and to facilitate and promote progress in the international energy sector, Berlin University of Technology (Technische Universit�t Berlin) has created a unique MBA program combining academic excellence with industry expertise. The 'MBA Energy Management' enhances students� career prospects and enables them to reach the next level of leadership. Successful graduates will have the ability to lead and manage others and to make strategic, problem-solving and sustainable managerial decisions in the field of energy and beyond. The 'MBA Energy Management' is an international full-time, graduate management program entirely taught in English. The program is taught over a period of three semesters and takes place on the TU-Campus EUREF, a hub for energy efficiency, renewable energies, and smart grids within the heart of Germany�s capital. It has been created in conjunction with current and future industry needs and is delivered by the 'Technische Universit�t Berlin' (TU Berlin), one of the biggest and most international institutes of technology in Europe and a leader in research as well as academic and industry-focused teaching. The 'MBA Energy Management' has been created to support motivated individuals to transition into their next career as future leaders in the energy sector. Through an exchange with peers and faculty a priority is made to develop analytical, leadership and interpersonal skills. The program is delivered in an up-to-date blended learning format designed to accelerate management skills relevant to the energy sector. It incorporates an extensive range of well-proven and innovative research translated into teaching methods (e.g. live cases & design thinking, experiential learning, flipped classroom and eLearning), academic approaches, and real-life scenarios. We are looking for individuals who have a first postgraduate professional experience, preferably in the energy sector, and demonstrate intellectual and analytical curiosity, a focus on community and the ability and will to inspire others. The 'MBA Energy Management' brings together individuals from around the globe. Our highly selected student classes of passionate individuals are characterized by academic excellence, cultural and professional diversity as well as a vast array of personal experiences. The small group size of maximum 30 students allows for close and exclusive peer exchange, outstanding individual learning conditions and personal mentoring. The learning experience is backed by the vast amount of eligible benefits, research tools and resources as well as on-campus events and activities at TU Berlin, one of Europe�s major universities of technology. 'MBA Energy Management' participants share the same campus and certain elective courses with their fellow students from our additional 'Master in Energy' programs and thus further benefit from an insightful, interdisciplinary exchange. 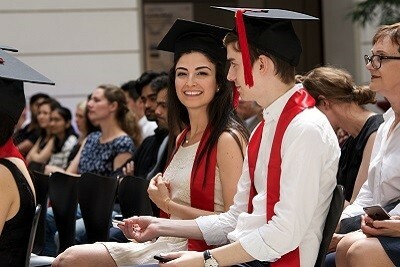 Graduates gain membership in and access to an ever-growing, international alumni network and learning community. Our pool of experienced lecturers includes highly-skilled academics as well as industry experts. A series of company presentations, excursions, workshops, seminars, and corporate consulting projects give students the opportunity to interact with companies from a broad range. This additionally provides students an insight into recruitment needs and processes in the energy industry. Recent visitations and excursions have included: Siemens (gas turbine plant), Vattenfall (power plant), E-world energy & water (trade fair), Arcadis (project development), Schneider Electric (energy management and automation), Continental (automotive), Enercon (wind power), Aleo (solar energy) and many more. Strategic, problem-solving management decisions in the energy industry require a profound understanding of both general business functions as well as the sector�s specific operational, technical, financial, legal, and entrepreneurial peculiarities. Future leaders in the field additionally need to incorporate a profound cultural understanding as well as an international outlook. The interdisciplinary content of the 'MBA Energy Management' covers all managerial aspects relevant to energy markets. This approach gives students and future managers a distinctive profile and qualifies them for leading positions in the field. The first semester covers the technical, economic, administrative and legal foundations as a basis for management decisions in the energy sector; the second semester deepens this view and looks at business and managerial practices; the third semester broadens the view while simultaneously focusing on training according to student�s individual interests through elective courses and an individual master thesis. All semesters include lectures, tutorials, seminars as well as excursions, online materials related to practice and a wide range of extracurricular activities. The master thesis due at the end of the third semester concludes the program. The internationally renowned Technische Universit�t Berlin (TUB) is located in Germany's capital city at the heart of Europe. The academic activities are focused on achieving sharply-defined goals: building a distinctive profile for our university, ensuring exceptional performance in research and teaching, providing our graduates with excellent qualifications and a modern approach to university administration. The TUB strives to promote the dissemination of knowledge and to facilitate technological progress through adherence to the core principles of excellence and quality. Strong regional, national and international networking with partners in science and industry are an important aspect in these endeavors. TUB is an internationally renowned research-intensive university dedicated to promoting science and technology for the benefit of broader society and committed to the principle of sustainability. The challenges and problems facing modern societies cannot be met on the basis of findings from individual disciplines. TUB is addressing these challenges with the aid of transdisciplinary collaborative projects. The establishment of important research partnerships in the context of the Excellence Initiative, the German Research Foundation (DFG) and European Institute for Innovation and Technology, in addition to constantly increasing third-party funding for the research projects, demonstrate the dynamic developments in this area.